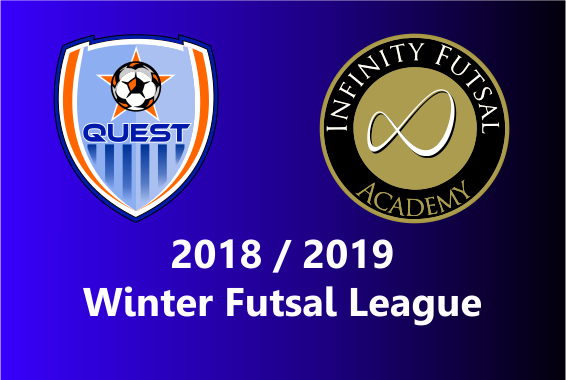 Quest is happy no announce The Infinity Futsal League is expanding in our area. Quest is excited about the opportunities this creates for our members. Futsal earned the status of FIFA’s official form of indoor soccer in the 1980s as it was recognized as a scaled down version of outdoor soccer played indoors. It is a 5 v 5 small-sided game played on a hard surfaced, basketball-sized court with a smaller, low bounce ball. Futsal is played with touchline boundaries and without walls. Quest is working with the League Founders and will post more information very soon.